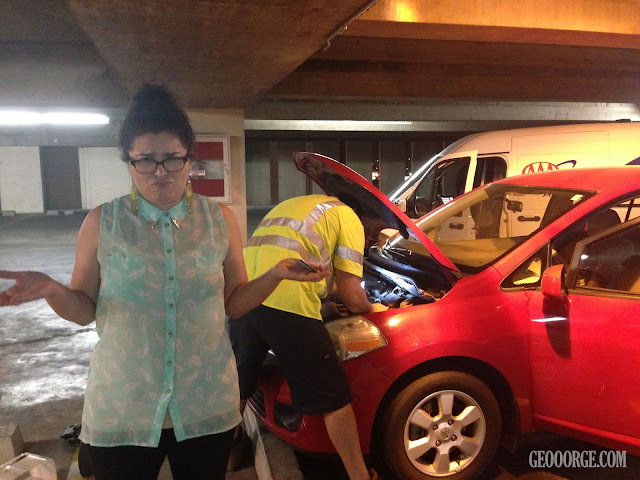 While you were out drinking at the bar, Ana and I had a party with AAA. The ladybug's battery died and we had to have Garry come and replace the battery. He got allllll up in her junk. Thank you Garry! Thank goodness we were still at the office and could hangout in the air conditioning. Time we finally got to leave the office: 11:14 PM.